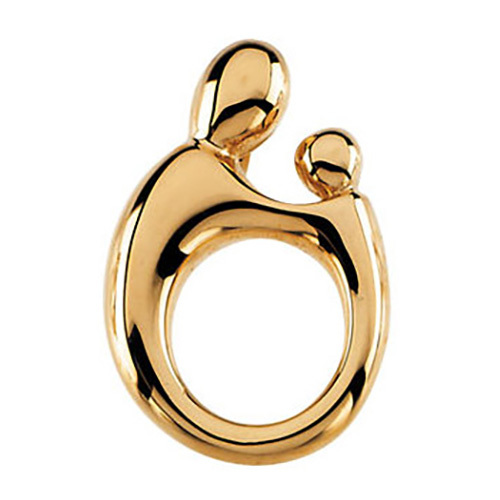 This 14kt yellow gold mother and child pendant is designed by Janel Russell. Dimensions: 20.5mm long and 13.5mm wide. This item is slightly larger than a penny. Weight: 2.80 grams. Please note: weight is approximate, actual weight may vary. Chain not included. Open back.